The Scottish Tenant Farmers Association has welcomed the recently published Review by the Tenant Farming Commissioner (TFC) on the conduct of the Duke of Buccleuch’s agents tasked with reviewing end of tenancy arrangements for Buccleuch tenants in the South of Scotland. Following adverse publicity resulting from the end of tenancy reviews for non-secure tenants on Buccleuch’s Bowhill and Langholm Estates, Buccleuch Estates asked the TFC to look into the concerns and allegations which had been raised publicly. The TFC’s report concludes that although none of the actions by the Buccleuch agents were illegal, best practice had not always been followed by the agents and the principles contained in industry agreed guidance may not have been adhered to. Commenting on the report, STFA Chairman Christopher Nicholson said: ‘This report has proved to be a valuable exercise in providing a clear example of the need for the cultural changes which the Scottish Land Commission are seeking to achieve. While there are no allegations of acting illegally, the report demonstrates the wider duty of landlords to their tenants and the public. Clearly it is unacceptable in the 21st Century for landlords and their agents not to be following industry agreed best practice and conducting negotiations without sensitivity and without a moral compass. Landlords who operate without regard for best practice will attract damaging criticism, as Buccleuch have discovered, which only stregthens calls for further legislation. ‘The TFC’s report also addresses the need for landlords to be accountable to the wider public. This recent exercise by Buccleuch of reviewing the future of 26 non-secure tenancies and planning for forestry on significant areas of farmland has implications not just for the farm tenants but also the wider local communities. The TFC highlights the need for landlords to seek an appropriate balance between their own business needs and the interests of the wider local community. To achieve that requires good planning, communications and public engagement, plus sensitivity for the needs of tenants and communities. ‘The findings of the Buccleuch Review can only add support to the recommendations made earlier this year in the TFC’s Review of the Conduct of Agents. These included the need for land agency firms to focus on training in interpersonal skills, to seek feedback on the behavioural aspects of agents, and to achieve professional standards that promote an appropriate balance between their duty of care to their client and their duy of care to others including the reputation of their profession. ‘This report shows that land agents are still in the public spotlight, and that there is still room for improvement. It is not enough for agents to simply stay within the law, they also need to act in a fair and reasonable manner with sensitivity for the needs of other parties. The Scottish Tenant Farmers Association is urging the Scottish Government to make every attempt to accelerate implementation of the section of the Land Reform Act covering the relinquishment and assignation of tenancies to encourage tenancy succession. Government officials are concentrating their efforts in favour of finalising the rent test, but STFA is concerned that this is holding up progress with other equally important sections of the Act. The implementation of the agricultural holdings sections of the Land Reform Act has proved to be more difficult and complex to implement than anticipated and it now appears that it will take more than 3 years before some of the new measures will be enacted. The Relinquishment and Assignation measures which will encourage elderly tenants to retire and to allow tenanted farms to be passed to the next generation have been eagerly awaited and are now causing a logjam in the system. Brexit is also exacerbating the situation as farmers plan for the future. Writing to the Cabinet Secretary, Fergus Ewing STFA Director Angus McCall said: “Early implementation of the Relinquishment and Assignation section is becoming crucial to an increasing number of tenants who are endeavouring to plan their retirement or exiting from the sector to make way for the next generation. As you will appreciate agriculture is going through a period of extreme change and many tenant farmers who have been planning retirement but waiting for the legislation to be implemented now feel that they can wait no longer. We are getting weekly calls from members and their advisers in this position and, bearing in mind the timescale required for relinquishing a tenancy and the need to work with bi-annual term dates, the years are slipping by and many these tenants will be deprived of the opportunity to take advantage of the benefits granted to them through the 2016 Act. “This situation is becoming more and more urgent as the months slip by and I would urge you to prioritise the implementation of this section, even at the risk of slippage with the rent test, although I would have thought we are not far away with that. I understand from officials that work has hardly started on the Relinquishment section and as it requires an affirmative procedure, implementation will still be some way off and, as time goes by, many tenants will not be able to afford to wait. Although some retirement deals are being brokered we know of many other situations where the tenants are leaving their farms with minimal compensation and the longer implementation takes the less amenable landlords may become to agreeing a reasonable end of tenancy package without the backdrop of imminent new legislation. “I hope you will be able to facilitate a faster turnaround of implementing the Relinquishment and Assignation to allow this valuable new piece of tenancy legislation to play its part in encouraging those who wish to leave, a dignified exit from the sector making way for the next generation of tenant farmers. The Scottish Tenant Farmers Association has welcomed the recently published Review by the Tenant Farming Commissioner on the Conduct of Agents of Landlords and Tenants. The Review was a statutory requirement of the 2016 Land Reform Act and makes some robust recommendations to improve working relationships between landlords, tenants and agents. Commenting on the review, STFA Chairman Christopher Nicholson said: ‘This review contains no surprises and paints a similar picture to an earlier survey published by the Scottish Government in 2014. We have always recognised that the majority operate in a fair and reasonable manner and that the dissatisfaction stems from the practices of only a handful of agents. 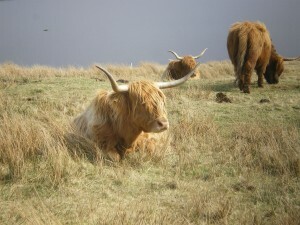 However, with the concentrated pattern of land management in Scotland, a few mavericks can have a disproportionate effect on the tenanted sector as a whole and damage the reputation of their profession. ‘The review shows that relationships between landlords and tenants are generally good, with landlords and tenants satisfied with the agents they employ, but unsurprisingly less satisfied with the agents employed by the other party. The reasons for dissatisfaction were as expected, including poor communication, lack of communication, aggressive and insensitive behaviour, a lack of transparency and honesty, and little regard for the importance of preserving good long-term relationships. ‘The review recognises the damage caused by poor behavioural attitudes of some agents, lack of good interpersonal skills and lack of emotional intelligence; all problems that STFA are familiar with from feedback received from tenants. Relationships were found to be better where there were regular face to face meetings between landlords and tenants, and one disturbing statistic from the review is that 46% of tenants meet their landlord once a year or less, and 16% never meet their landlord. ‘Rent negotiations continue to be a cause of poor relationships with some recently conducted rent negotiations demonstrating the lack of regard certain agents have for the core principles contained in the industry agreed guidance on rent reviews. For too long rent reviews have been conducted as a dark art, and the review’s recommendation that guidance on rent reviews is adhered to, with particular insistence on openness, transparency and honesty will be a welcome change. ‘Also welcome is the recommendation that the professional bodies should work with the Tenant Farming Commissioner to produce a guide to professional standards and a complaints system with particular reference to the tenanted sector. ‘The review does not however address the points made by the Law Society, that an agent is not required to act in a fair and reasonable manner or follow the codes of practice providing he stays within the law. ‘Despite the difficulties raised by the Law Society, and the challenges ahead to provide a workable complaints system, the review provides a positive report but with the message that there is room for improvement. It is now up to the Cabinet Secretary to take forward the review’s recommendations. The Scottish Tenant Farmers Association has cautioned the Scottish Agricultural Arbiters and Valuers Association against being negative in their attitude towards the proposed changes to rent review procedures. 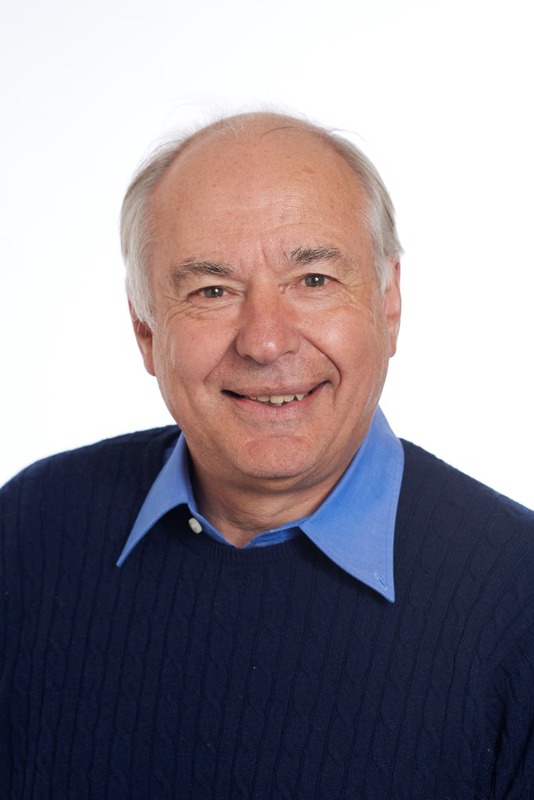 The warning followed a recent statement from newly appointed SAAVA President, Ian Austin, criticising the new rent system as being “more procedural and complex” than at present and advocating a re-examination of the proposed approach through an open debate, despite the industry having spent the last 4 years debating the subject. Reacting to SAAVA’s comments, STFA Christopher Nicholson Chairman said; “It is widely accepted that the current open market rent system is no longer fit for purpose and the time is ripe to move towards a new method of rent setting based on what the holding can produce using the land and fixtures supplied by the landlord, taking proper account of improvements made by the tenant. These principles for the new rent test are patently fair and were a recommendation from the Cabinet Secretary’s Review of Agricultural Tenancy Legislation in 2014. Tenant farmers have been looking for change for nearly 20 years and cannot continue operating under the yoke of the fear of ever increasing rents from a broken open market rent test with a punitive Land Court battle in the background unless they accede to demands. History tells its own story with only 3 rent cases heard in the Land Court since 2003 at an average cost well into the hundreds of thousands of pounds as tenants prefer to settle rather than fight. “Reforming the rent review process is obviously a complex task which has occupied a great deal of time, energy and expense. It is now incumbent on those involved to use their knowledge and expertise to make the new rent test work rather than trying to stop the clock and start again, shelving the operation is not an option. STFA is confident that if the will is there, a suitable methodology can be found to deliver a “fair rent”. After all, a very similar rent review process has been operating successfully South of the Border for more than 30 years. The Scottish Tenant Farmers Association has welcomed the publication this week of the Tenant Farming Commissioner’s latest Code of Practice on the Late Payment of Rent and Guide on the use of Alternative Dispute Resolution. The Code details the importance for tenant farmers of paying rent on time and sets out the risk of losing the tenancy if reminders to pay are ignored. For landlords, it seeks to ensure that landlords behave in a reasonable manner by discussing the late payment with the tenant giving him every opportunity to rectify the situation. The Guide to Alternative Dispute Resolution outlines the various different ways of trying to resolve disputes without going to court and provides valuable guidance on the suitability of using different methods of ADR in differing circumstances. Commenting on the new Code and Guidance, STFA Chairman Christopher Nicholson said: “The new Code of Practice on Late Payment of Rent follows real life situations where tenant farmers have lost their tenancies through late payment of rent, in some cases by days. The vast majority of tenant farmers realise the importance of timely payment of rent and there is invariably a reason why mistakes have been made and the rent has been unpaid. For example, it is not unusual for an elderly and confused tenant or one disturbed by mental illness to become forgetful and lax in keeping up with bookwork and settling bills. In this situation it may well be the next generation who pay the penalty of losing their family tenancy. “That is why it is so important for landlords and their agents, who should know their tenants in any case, to find out why rent payments are late and explain that the danger of losing the tenancy if the rent remains unpaid. If the tenant is possibly confused or mentally instable, the situation should be also be discussed with family before serving final notices to quit. Non-payment of rent is one of the few occasions where a landlord can bring a secure agricultural tenancy to an end, but that should be no reason for regarding it as an opportunity to be seized rather than a sign of something being wrong with the tenant. “The Code also recommends that the landlord should always invoice the tenant for the rent due rather than following what has become the common practice of not issuing invoices at all which can lead to confusion and term dates being inadvertently missed. “STFA sees the Guidance on ADR as an important step away from reliance on the Land Court for resolving disputes. The various forms of ADR have valuable roles to play according to the different circumstances. Arbitration and Expert Determination could be particularly important determining rent under the new test, particularly as the Land Court plainly isn’t working for rental disputes – only 3 cases since 2003. In fact, where rental disputes are concerned it is mainly used as a tool of intimidation rather than an forum for settling disagreements. “However, as the Land Court will remain the court of last resort is becoming increasingly important that it adjusts its procedures to deal with simple rental disputes more cost-effectively and timeously. The TFC is dedicated to improving landlord/tenant relationships and reducing disputes and conflict, but on the occasions where that is not successful the Land Court must be fit for purpose. The Scottish Tenant Farmers Association has said that although Buccleuch’s announcement that it has asked the Tenant Farming Commissioner to examine its negotiations with agricultural tenants over farm leases is welcome, it has shown a complete lack of understanding of the issues which were so vociferously aired at a packed meeting in Langholm earlier this week. The meeting had been called to discuss Buccleuch’s forestry proposals on the Eskdale and Liddesdale Estate but the strength of feeling in the local community about the management of the estate and its treatment of its farming tenants soon became clear and the Duke himself, his CEO John Glen and their factoring team came in for harsh criticism. Speaking after the meeting STFA Chairman Christopher Nicholson, who had attended the meeting said; “What was so extraordinary about this meeting was not just the strength of feeling in the local community, or the spectre of the Conservative MSP Oliver Mundell lambasting the Duke of Buccleuch, but the fact that the Duke and his management team didn’t seem to be in tune with the changing culture developing in rural Scotland, that local communities now expect to be involved in decisions affecting the land about them. The meeting concluded with the Duke’s insistence that although matters would be handled differently, he had no intention of backing away from his tree planting and other land diversification plans. “This was a remarkable demonstration of local democracy and those present did not hold back in expressing their deep concerns about the management of the Estate and the lack of consultation over major changes of land use, especially where it is resulting in tenants losing their farms. Tenant farmers’ concerns were well articulated at the meeting, but the lack of tenant farmers speaking out was noticeable, a symptom of their reluctance to put their heads above the parapet for fear of repercussions. The Duke of Buccleuch has to be congratulated in appearing at the meeting in person rather than hiding behind his team of factors, which is so often the case. However, he has to realise that times are changing in Scotland and landowners are far more accountable than in the past and local communities as well as those who live and work on his estates have to be consulted and their views taken into account in management plans. 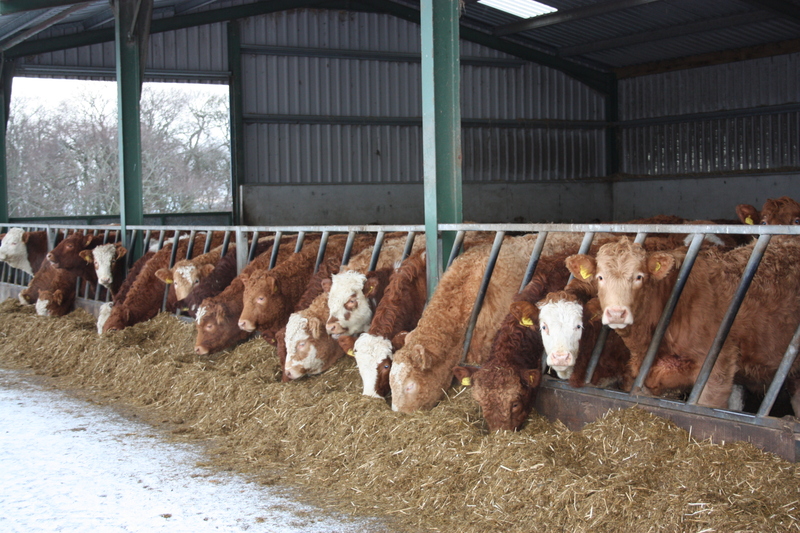 “STFA would welcome the prospect of the Tenant Farming Commissioner looking into the accusations against Buccleuch voiced at the meeting and would encourage tenants to speak to him in confidence about their concerns. However, allegations of bullying and intimidation as well as failure to follow industry codes, while important, are symptomatic of a more general failure to recognise the changing culture developing in rural Scotland. 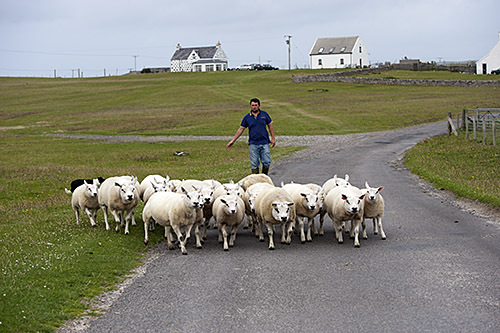 Local communities now expect to be involved in decisions affecting the land about them and the general attitude of profit before people, which is all too often the hallmark of estate management, has no place in rural Scotland. Consequently, we would urge the TFC not to restrict his investigations to Eskdale and Liddesdale Estate, but to conduct a wider survey how Buccleuch Estates are managed and its relationships with tenants and communities over its wider landholdings”. The Scottish Tenant Farmers Association has welcomed the Scottish Government’s announcement that over 1,000 hectares of public land is to be made available to new farmers to attract people to farming. Forestry Enterprise Scotland, Scottish Water, Highlands and Islands Enterprise, East Lothian and Highland Councils will all release land across Scotland this spring sufficient for around 50 new farmers. This initiative has sprung from the work of the New Starter Farm Group established by Richard Lochhead and continued by the Farming Opportunities for New Entrants group under Cabinet Secretary Fergus Ewing. Commenting on the initiative STFA director Angus McCall said: “Access to land is the single most inhibiting factor for aspiring new entrants to agriculture and it is great news that, through these public bodies, the Scottish Government has found 1,000 ha of land that could be made available to new entrants. We understand that these are parcels of land, spread throughout Scotland, which could support part-time farming enterprises. Most of this land will be Forest Enterprise land which has not been planted under trees, rather than fully equipped farms. This represents the first rung of the farming ladder where enthusiastic new entrants can start from scratch with a small flock of sheep on 50 acres of grazing in Perth-shire or growing vegetables on a couple of acres in East Lothian before making a longer-term commitment to taking on a rented farm. “Farming opportunities are scarce at present with very little land available to rent, which will be of concern to new entrants in 10 year starter farms, the first of whom will be looking for the next rung on the farming ladder in just over 4 years time. However, this may all change post Brexit with falling farm incomes and a stricter support regime which may well stimulate the letting market as the prospects for landowners to draw down subsidy payments simply for owning land disappear. “Downturns in agriculture, while difficult for existing farmers, often represent opportunities for new entrants, especially if their livelihood is not dependent on earnings from farming. This government initiative is timely in allowing new farmers to be in place so they can take advantage of any openings as they appear”. Land Reform took a major step forward today with the announcement by Scotland’s largest landowner, Buccleuch Estates, that it is to offer 24 tenants on secure tenancies the opportunity to buy their farms. The surprise news has come in the wake of intense local controversy surrounding the management of tenanted farms in the Langholm area, particularly over plans to replace tenants with trees. 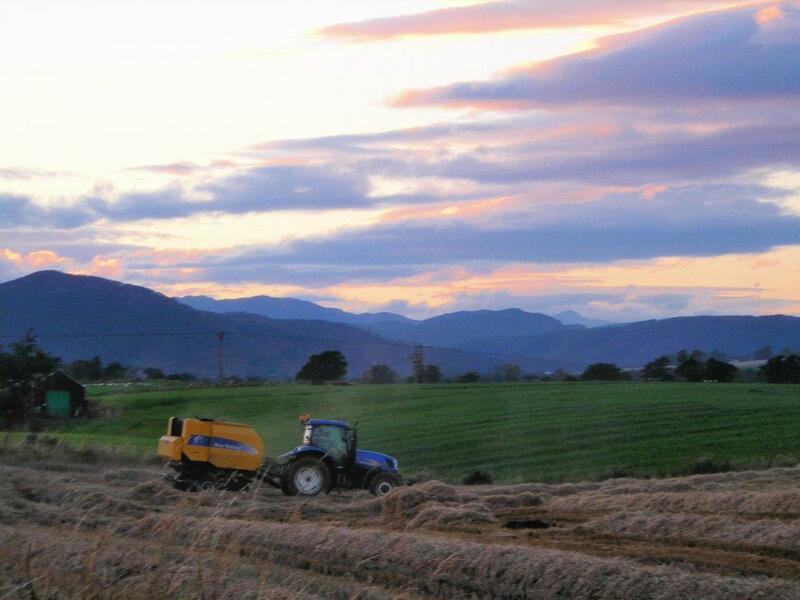 Buccleuch CEO, John Glen, has said the Estate has initiated discussions with 11 tenants who have officially registered an interest in buying their farms, or indicated an interest to do so, on the Eskdale and Liddesdale Estate. Letters have been sent today to the remaining 13 tenants on secure tenancies offering the opportunity to meet with the Estate Manager so that we may understand future aspirations. Responding to the news STFA Chairman Christopher Nicholson said; “Buccleuch’s announcement has come out of the blue and represents a tremendous opportunity for the tenants who are being given the chance to buy their farms. Most tenants on secure tenancies will have invested heavily in their farms over the generations and this investment must be reflected in the purchase price of the farms which should be subject of a tenanted discount. If Buccleuch are serious in their intentions to sell, we would expect independent and transparent valuations and a willingness to negotiate a realistic purchase price. Unlike the Limited Partnership tenants who are faced with decision to buy their farms at open market value or quit, the secure tenants have the comfort of the option to continue as secure tenants if they decide not to purchase. “This will also be good news for the local community who have been concerned at moves to replace tenant farmers with forestry on Buccleuch Estate farms. Although these tenancies are held under security of tenure, they are still vulnerable to bits being resumed for tree planting or other non-agricultural use. Furthermore, landlords have traditionally been reluctant to invest in tenanted farms and ownership will give the tenants the confidence and ability to develop, invest and broaden the scope of their businesses to the long-term benefit of the community. “Increasing the diversity of landownership in Scotland has been a longstanding ambition of the Scottish Government and selling farms to sitting secure tenants is a step in the right direction. STFA would welcome similar proposals in other parts of Scotland where initiative and investment is still being stifled by a monopoly of landownership. “Concerns have been expressed about the shrinkage of the tenanted sector, however, farms sold to sitting secure tenants are unlikely to become vacant in the foreseeable future and these sales should not have an adverse impact on the tenanted sector. “Whilst this news is welcome, discussions with tenants are in their infancy and it remains to see how far this is a serious intention to reorganise Buccleuch’s landholdings and how much is a public relations exercise to ward off criticism. The answer will become evident when the money is on the table and the agricultural community will be watching with interest. 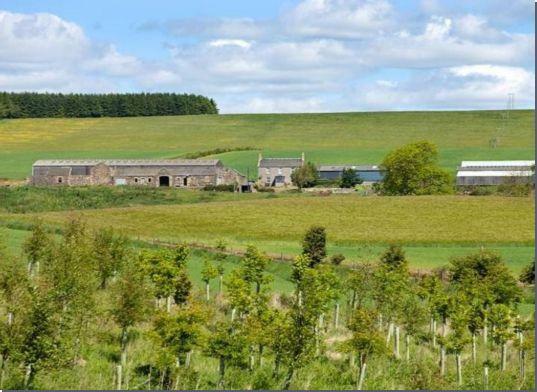 The Scottish Tenant Farmers Association is concerned to hear that one of Scotland’s foremost landowners is demanding excessive rent rises from his farming tenants, contradicting industry agreements which limited the amount by which rents should be increased. It has now emerged that, although the rent reviews are at an early stage, Lord Johnstone’s opening bid is for rent increases of between 20% and 40%, despite rents having been reviewed a mere 4 years ago. The joint industry guidance, agreed by SL&E, NFUS and STFA in 2015, set out a framework aimed at minimising any risk to the industry that might arise from conflict around rent increases for tenanted farms. The basis of this framework rested on a systematic and transparent process incorporating an additional sense test based on published data for UK inflation. Although not compulsory, rent reviews conducted over the last few years have largely relied on this methodology to agree rents. 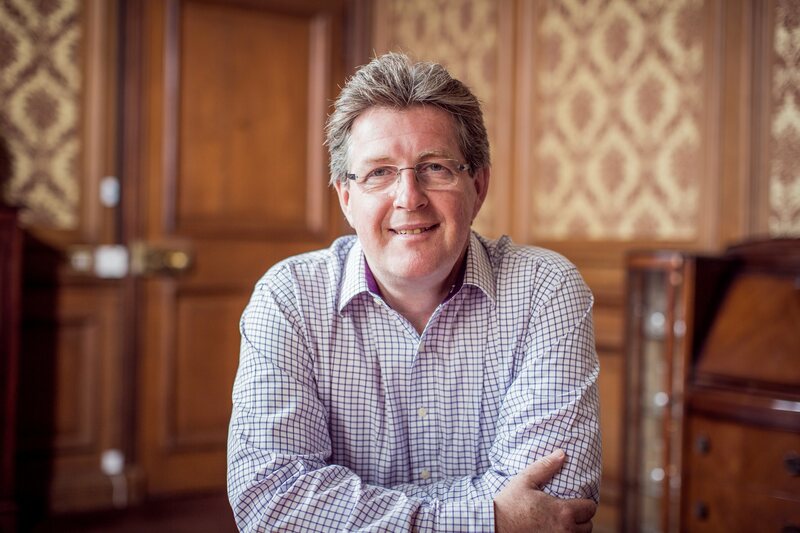 Commenting on the situation STFA Director Angus McCall said: “Regular rent reviews are a healthy feature of good landlord/tenant relationships and are to be encouraged. They allow rents to be adjusted up or down according to circumstances and avoid the disruptions to business that come with irregular and large changes in rent and which the industry guidelines sought to achieve. “STFA Chairman Christopher Nicholson has been in contact with tenants on the estate and monitoring this rent review from the start. He has already expressed concerns to David Johnstone and Bob McIntosh, the Tenant Farming Commissioner, regarding the scale of the proposed rent increases and the lack of transparent evidence which would justify such an increase, or indeed any increase at all. If the factoring agents had followed industry guidelines and had been able to justify an increase in rent it would have been limited to no more than the rate of inflation since the last rent review. This would in practice be 6-7% over the last 4 years and in common with many other reviews these rent reviews would have taken place without any fuss and kept rents in line with comparable farms in the neighbourhood.